We so enjoyed camping in Kumana National Park. I wrote about our campsite and XTreme Nature Tours in this post. There was so much to talk about that I didn't have a chance to share photos of some of the animals we spotted. One of the beautiful creatures that is taken for granted in Sri Lanka is the majestic and colorful Peacock. People visiting the park can see them around every corner. 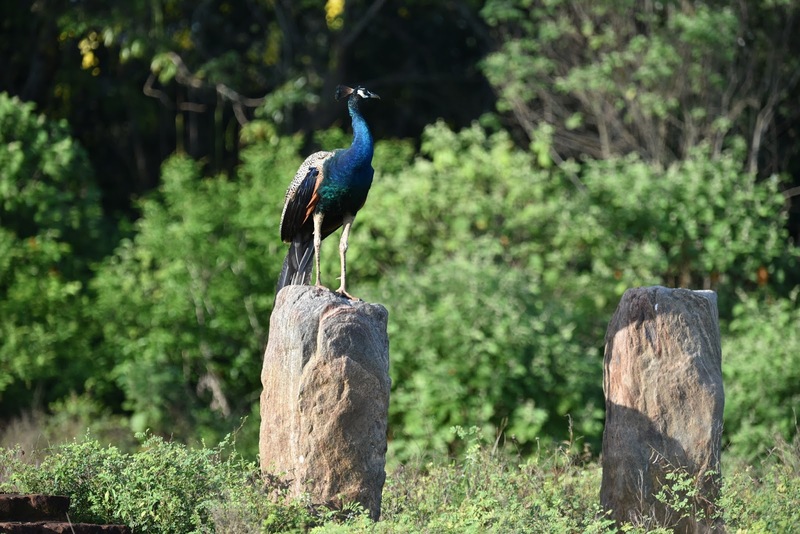 This one was perched on an ancient artifact, one of the pillars that monks used to use to hang their robes as they were bathing. Peacocks are so interesting because they spread their tail feathers and shake them to entice the peahen for mating. Did you know that if a peahen has two males displaying in front of her, she can determines the amount of "eyes" in the tail feathers of each bird, compare them, and will mate with the genetically stronger bird? 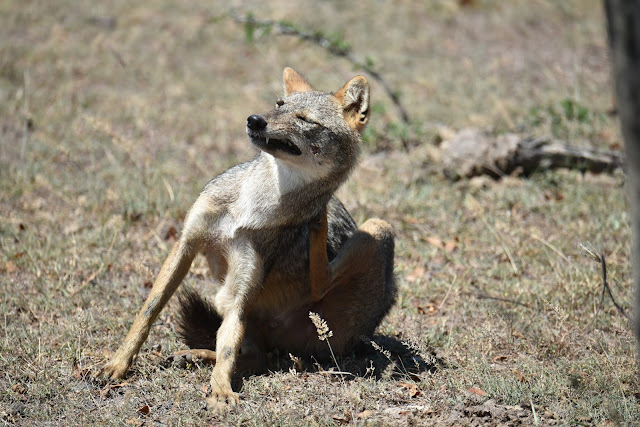 We saw many Golden-backed jackals in Kumana National park. They usually travel in pairs because they mate for life. They don't have a natural predator in Sri Lanka so there are several of them around. The jackal below was pretty relaxed and enjoyed a scratch in the sun. 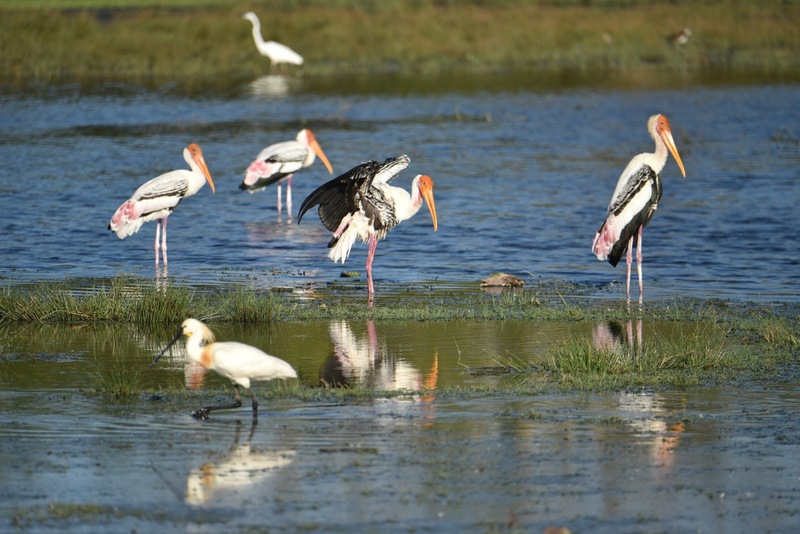 One of my favorite parts of Kumana National Park is the Kumunavillu marshland. 22 species of aquatic birds nest here. A couple of favorites (above photo) include the open-billed stork. The picture I took here was of one with breeding plumage. 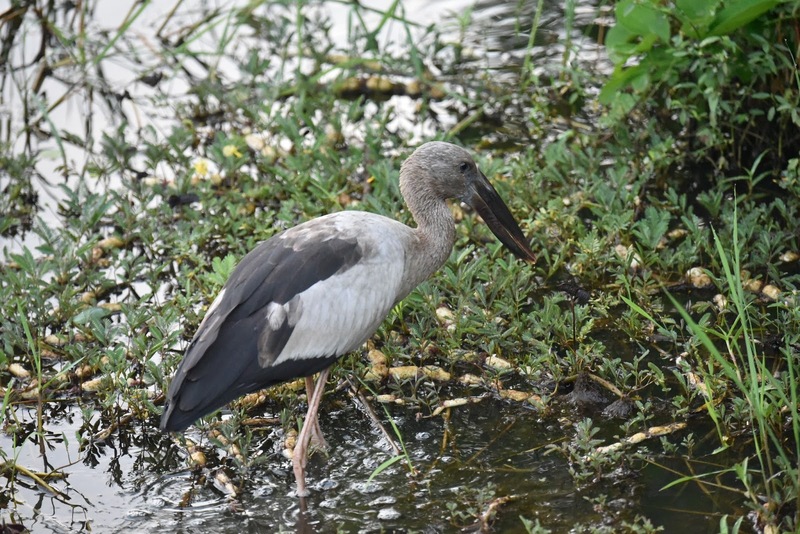 Also, the Painted Storks are beautiful with the tinge of pink feathers and pink legs. In the below photo you can see a Spoonbill in the foreground, also sporting its breeding plumage. It has a yellow "mullet" of feathers and a bright patch of golden feathers on its lower neck. 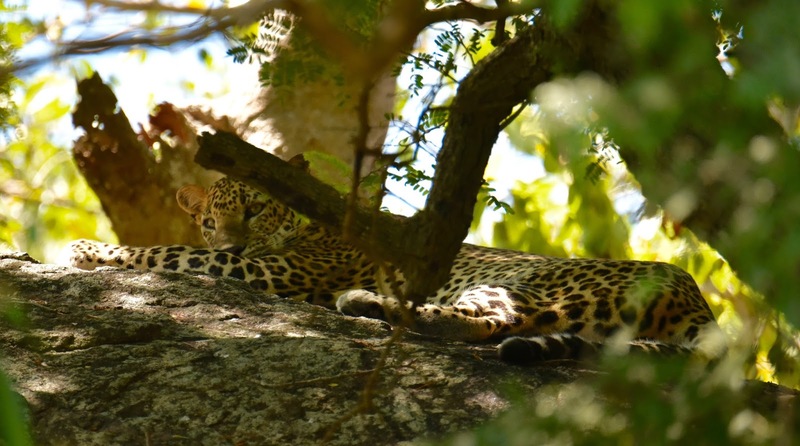 Our favorite wildlife sighting besides sloth bears (they were too skittish to photograph), was the mighty leopard! This one loved snoozing on high rocks while viewing his kingdom. We were fortunate enough to see him twice during our time in Kumana. He was shy and preferred to regard us from a distance. This older elephant hung around for a while so we could take his photo. Because he is a senior he prefers eating grass around water holes because it is softer. Elephants sadly die from starvation. 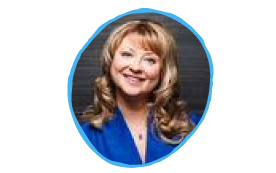 Eventually their teeth are no longer strong enough to chew food enough for digestion. With an already poor digestion system, they have a hard time getting nutrients. The wildlife in Sri Lanka is glorious. I prefer not to compare it to wildlife in other countries because each experience provides lasting, special memories. The park rangers and guides are different, the terrain is different, and there are unique species and sub-species of animals throughout the world. 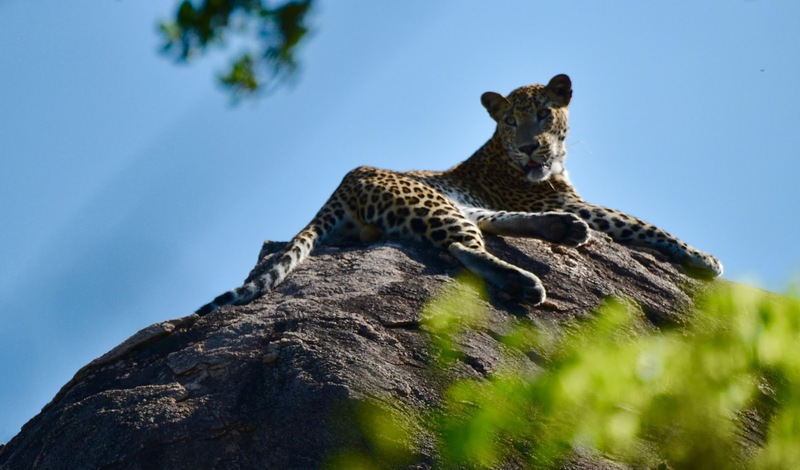 For instance, the leopards we saw in Sri Lanka are different to those found in African and in India! 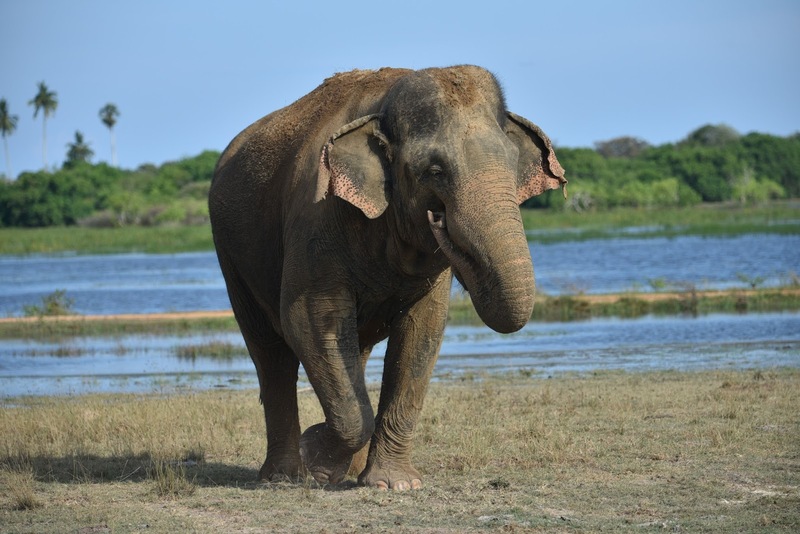 If you have questions about game drives in the national parks in Sri Lanka - just ask! I wrote about wildlife viewing at Wilpattu National Park here and Yala National Park here.